Happy Wednesday! 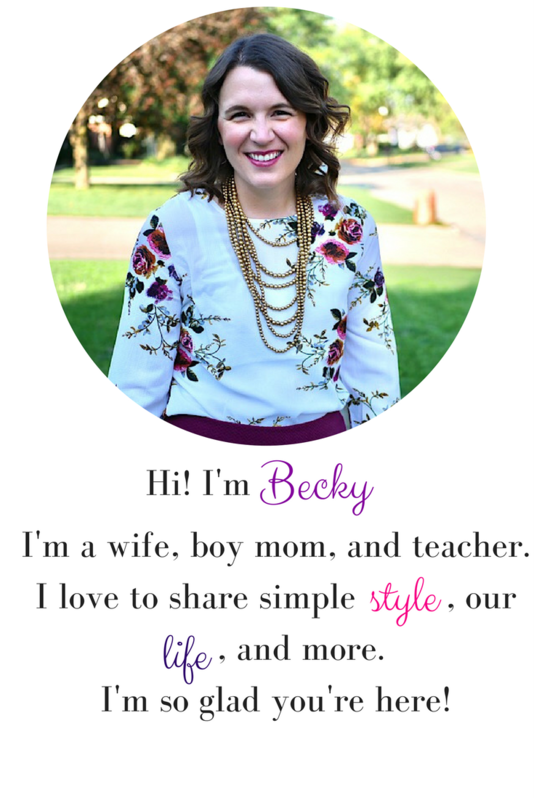 I'm back at it this month with Della, Nicole and Tif and we're all styling white after Labor Day! You don't have to put those white items away after this past weekend! I just love a good pair of white jeans! I have had this pair for years and honestly I am shocked they have stayed white for so long, but they have (knock on wood). 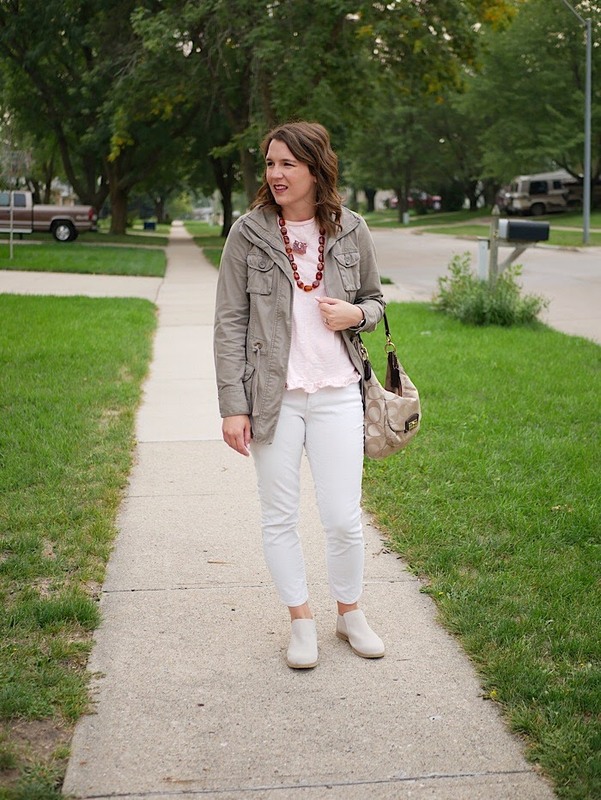 I love white jeans with bright colors, but there's also something about white and earth tones that I love, too! A little blush added to it just makes it feminine! 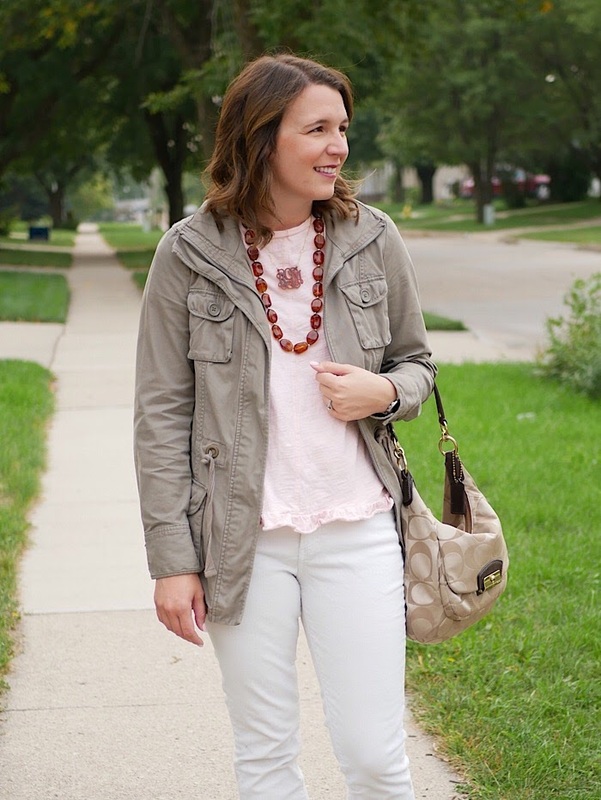 I scored this utility jacket on Poshmark and I know I will wear it a ton! I had to replace my old one because #weightloss, so I was pumped to find one I liked without spending a ton. 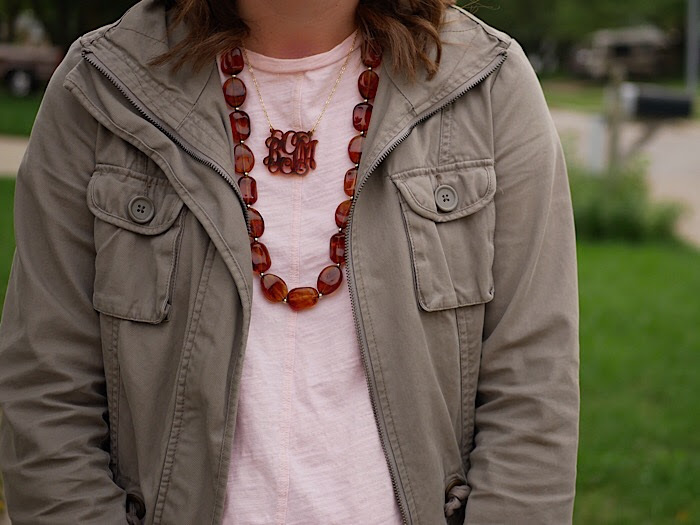 I layered these necklaces last week for work (with a different color blush and the jacket) and so I just knew that they were a great fit for this outfit. Last, can we talk about these booties? 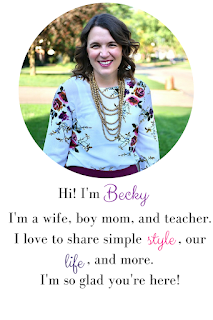 I won a giveaway from Tif and Bearpaw and I got to pick out my style. I love these because I don't have a pair of flat ankle booties. Besides being super comfy, I think these are so versatile and go with skirts or pants and the color will transition between seasons, too! So, I want to know, do you own a pair of white jeans? Are you for or against white after Labor Day? Leave me a comment and let me know! 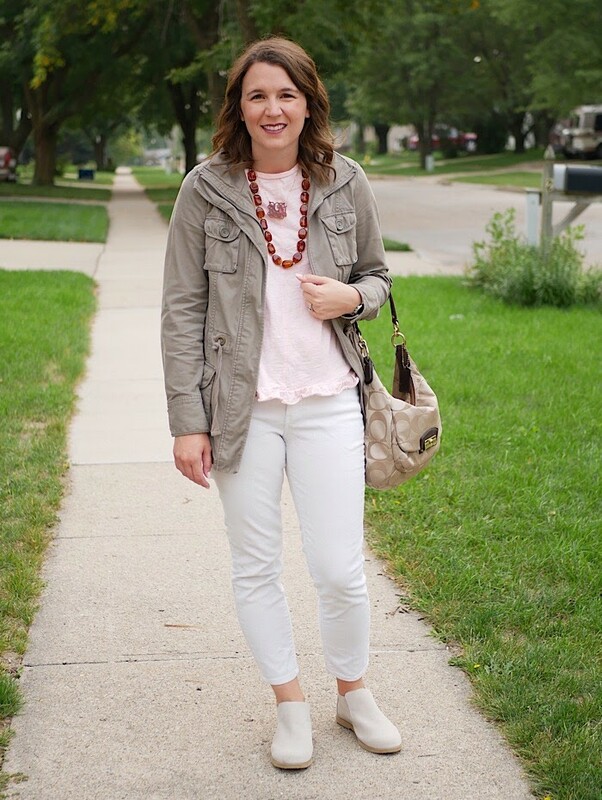 Check out my last year's White After Labor Day look here!